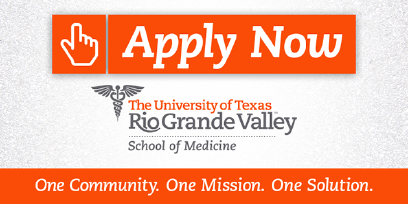 EDINBURG — Planning for expected growth of the new School of Medicine at the University of Texas Rio Grande Valley, UT regents last week approved construction of a new $12.2 million building for the program. “This is very crucial to us in maintaining our mission as a catalyst for medical education in the Valley and for our mission to provide outstanding undergraduate and graduate medical education to highly qualified students,” said UTRGV President Guy Bailey to the regents during a presentation. The two-year-old School of Medicine currently has 101 medical students and 139 residents. But by the time the new building is completed, the school should have a cohort of 200 students and 200 residents, Bailey explained. The funds will be taken from previously allocated Permanent University Funds that the board had approved previously to cover startup costs for the School of Medicine. UT System Chancellor William McRaven approved the initial planning for the project in November 2017, but the total cost and scope of the project was approved this week. The university is allocating $5.8 million for the building’s construction alone, which will be located directly east of the Medical Education Building on the Edinburg campus and it is slated to have classrooms, conference rooms and support space. The rest of the funds will go toward architectural design, site development and furniture and equipment, among other costs. Part of the money allocated for the project will also be from unspent funds previously approved for the construction of the initial building. The design of the building is scheduled to be approved by May and to begin construction by September of this year, according to information presented to the regents last week. The total pool of money pledged by the regents on December 2012 for unspecified startup costs for the UTRGV School of Medicine was $100 million over a 10-year period, all from PUF bond proceeds. To date, the board has successfully assigned about half of those funds.